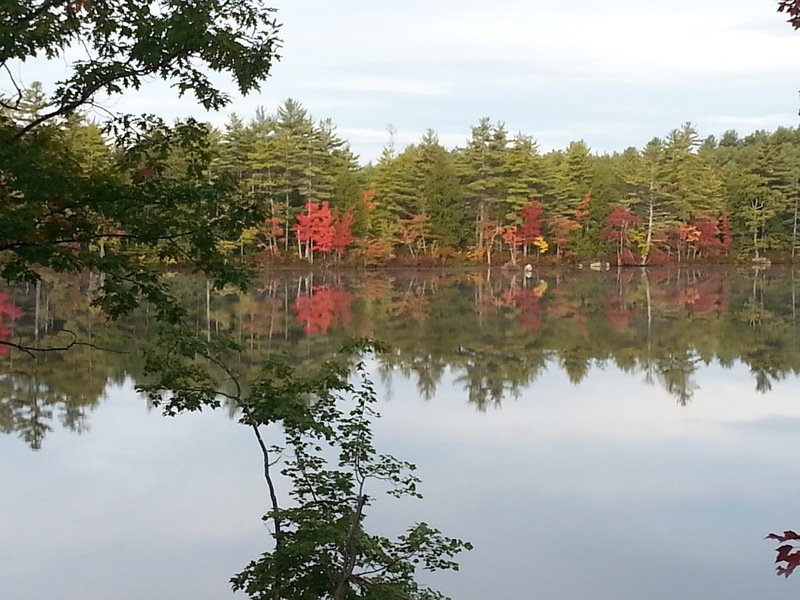 The leaves are starting to turn in New Hampshire (thank you LC! 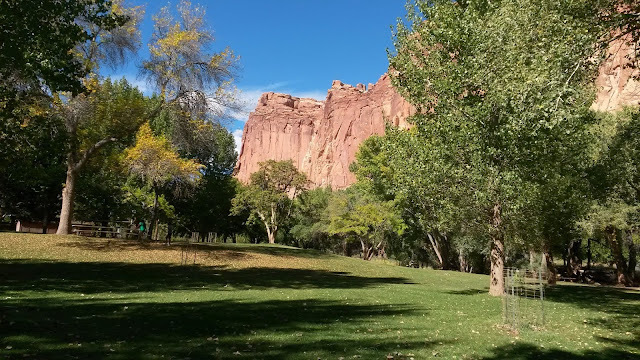 ), while out in the west the colors range from full green to completely gone depending on elevation and available moisture. 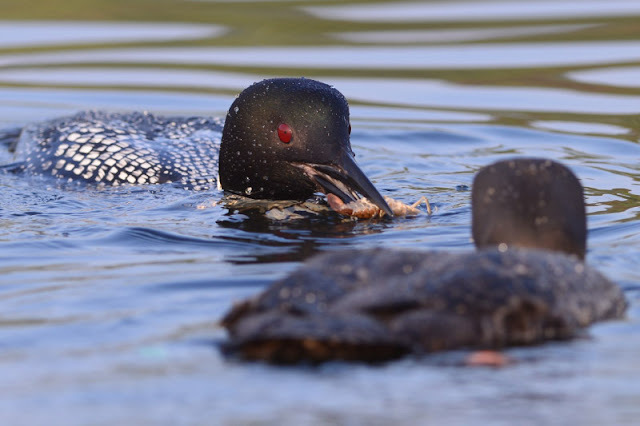 I have been avoiding this post for quite a while, but now that I am away from the lake perhaps it will be a little easier to relate the sad news that many already know: neither of the Lake Wicwas loon chicks survived this year. As reported on August 9th, one chick was killed by a rogue loon - there were observers of the fight and the dead chick was recovered. The fate of the second is unknown, but I can only surmise that the rogue came back to finish the job. Loons are terribly territorial; they also have a strong instinct to propagate their own gene pool, strong enough that they will kill their own species to provide better prospects for their own offspring, even if they don't have any of their own at the moment. 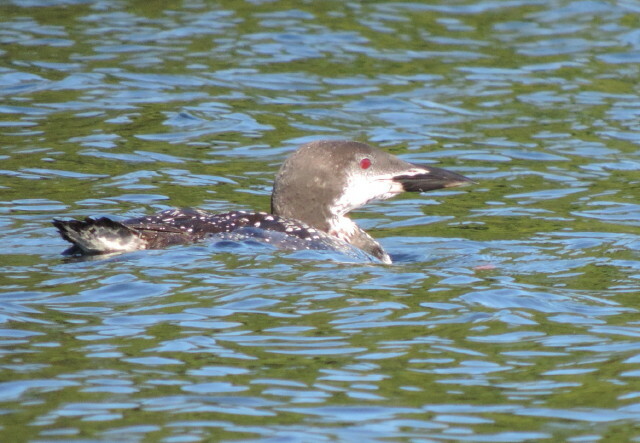 I had seen a single loon on the lake for much of this summer as well as last summer, spending most of its time in a single cove far away from the pair. I wonder if this loon decided it wants Lake Wicwas for its own, and acted to drive our resident pair away. Is our nesting pair becoming old and weak, unable to defend its territory and its offspring against a younger, stronger animal? 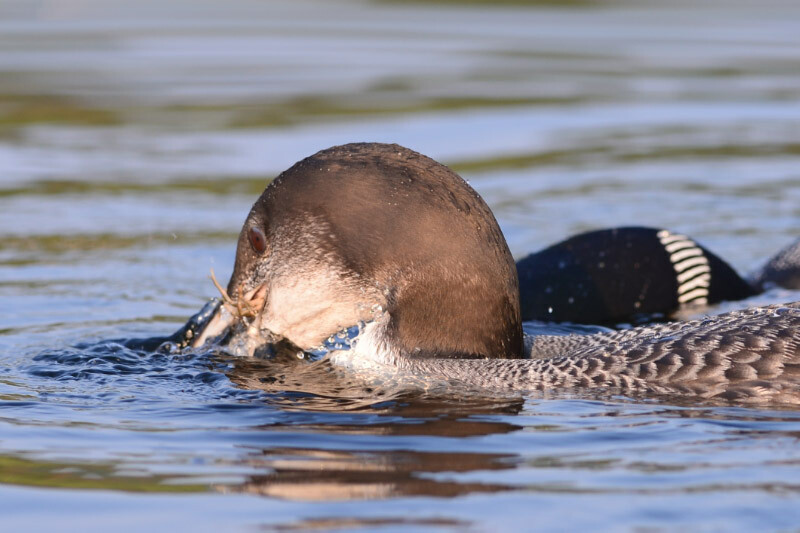 Recently there was a loon on the lake with a juvenile appearance, but after a check with John Cooley at the Loon Center, it appears it is an adult loon that started to molt its summer colors earlier than usual. This was interesting enough to be noted in the Loon Preservation Committee's latest news letter! 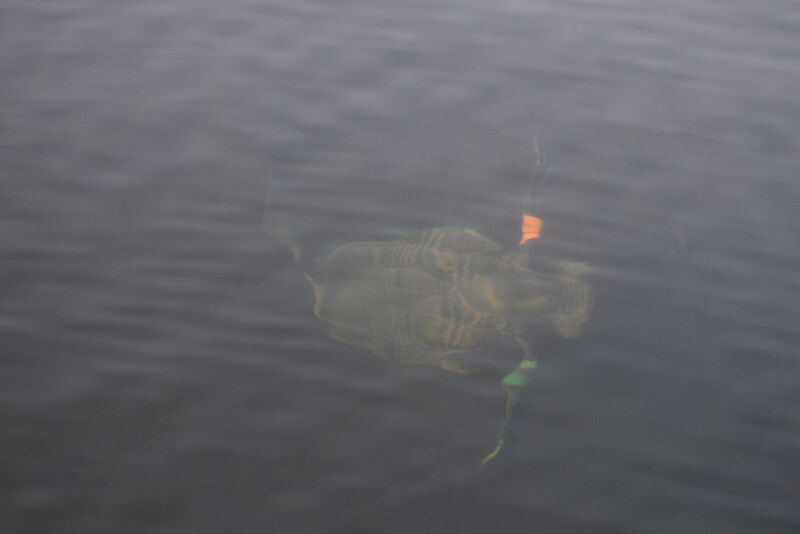 Fortunately, the reports from other lakes in New Hampshire are much better, with high rates of successful chick hatchings. We'll have to wait until later in the fall to know how many make it through to fly off for the Atlantic Ocean. 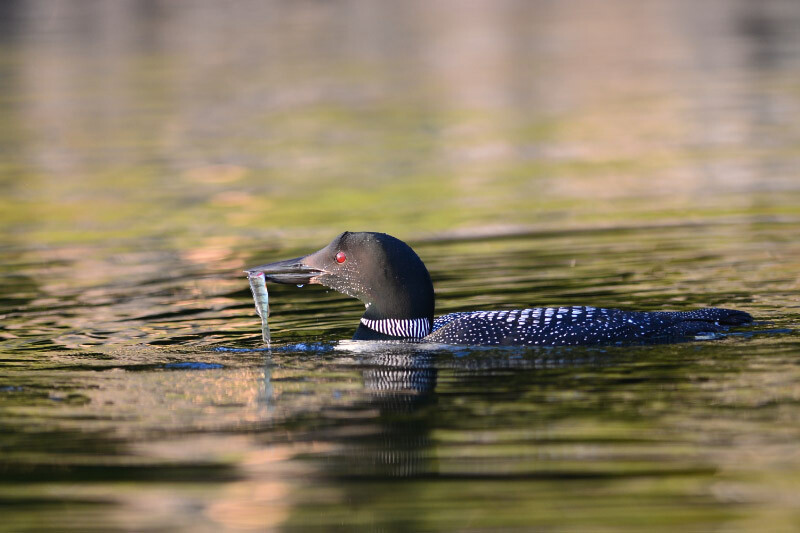 The outstanding photographer Kittie Wilson, who often observes on Pleasant Lake in New London, took some fantastic pictures of the young loon on that lake. I've seen pictures of the adult loons catching small fish for the young one, but I've never seen one quite like this. 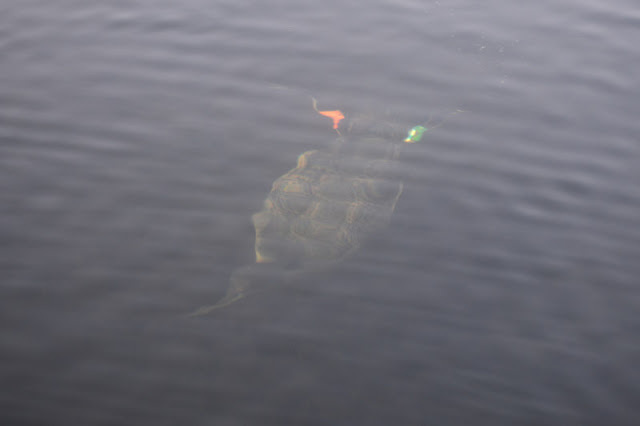 And she collected evidence that they don't only eat fish - here's a shot of a parent bringing up a crawfish for junior. Somehow she also managed to get photographs of the loons as they swam under water. It's the first time I've seen what they look like while diving - their feet stretched out behind them, propelling them through the water. So thanks to Kittie we can at least enjoy the success on Pleasant Pond, even as I fear that if we are successful in increasing the loon population in the northeast, there will be more similar territorial battles over our lakes. Nature is an unforgiving test of survival of the fittest, strengthening the gene pool, and is why the Common Loon has survived for millions of years. Note that Ms. Wilson also writes a weekly nature journal which you might enjoy - you can email her at lanesend2@tds.net - ask to be added to her distribution list. We on Lake Wicwas will remember Freedom and Liberty fondly.